Any time you encounter problems with your home's plumbing system, you need prompt repairs performed by a professional you know you can trust. At Cooper's Inc., our plumbers have extensive training and experience, and we know how important your plumbing system is to your home, so we always strive to provide the highest quality repairs possible. The plumbing repairs our Topeka plumbers provide are always totally thorough and accurate. Every part of your home's plumbing system plays an integral role in your daily life, so you need any problems with the system taken care of as soon as possible. 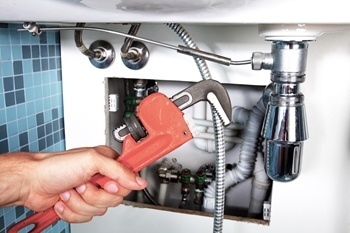 Unfortunately, many plumbers (especially those with less experience) will often treat only the most obvious symptoms of the problems, leaving their underlying causes untreated. Our plumbing services experts will always tackle these problems at their sources, ensuring that your plumbing system is in the best condition possible when our work is complete. Call us today to schedule for plumbing repairs in the Topeka area, and we'll be looking forward to assisting you. Your pipe system could develop serious problems at any time, and whether it's because of a burst pipe or a pinhole leak, they can cause serious problems with many parts of your home. Repairing problems with your plumbing system's pipes is the only way to keep your home in great condition, and to keep your plumbing system working well. Our plumbers will be able to determine exactly what problems your pipes have developed and thoroughly repair them. If a faucet in your home drips or leaks, it might seem like a minor problem, and it might be easy to ignore. However, that dripping water adds up quickly, and it can waste up to 230 gallons of water per year. On top of that, it can stain your sink and rust your fixtures. Our plumbers will be able to repair leaking faucets and ensure that your home's plumbing system is in great shape. For quality plumbing repairs in Topeka, please call Cooper's Inc at 785-267-4100 or complete our online request form.